Spotting Scopes are extremely useful tools for shooting and hunting. When hunting, they can be used to find that trophy elk as he lumbers across a ridgeline 700 yards away, or even determine the size of the rack on a buck you’ve been watching from your stand. The best spotting scope for you is going to depend on your budget. It is important to choose one that will perform the way you need, while remaining in that sweet spot that keeps your wallet happy. Are there any advantages of spotting scopes? Is there such a thing as budget spotting scope? A spotting scope is a small but powerful telescopic device used for daytime or nighttime observation, commonly used when hunting or shooting. Typically, a spotting scope is lightweight for easier transportation intoremote areas. Most of them come with a tripod stand for easier target acquisition, and hands free operation. Objective Lens: When deciding on a particular scope, go for quality over quantity: avoid using lens size as criteria whenever possible. Magnification: Choose a spotting scope that is capable of viewing targets at a distance you plan to be shooting. Scopes with a higher quality lens, rather than larger size, will produce a higher-quality image. This translates into a target you can clearly see and identify, as opposed to a zoomed in target that is blurry and potentially harder to ID. Lens Coating. This is an important feature that you have to consider when choosing the best spotting scope. You can choose a multi-coated, fully coated or fully multi-coated lens coating. The over quality of the image can often times depend on the type of lens coating selected. Eye Relief: How close (or far) from the eyepiece does the user need to position themselves? This feature is significant for users who wear glasses. Prism Type: You can choose a spotting scope that uses either a porro prism or a roof prism, the porro being the most prevalent option due to it being the easiest to produce—which makes it the cheapest. A roof prism is compact, but doesn’t perform as well as a porro prism or tend to have the option to utilize removable eyepieces. Eyepieces: When purchasing a scope, the eyepiece may be priced separately. Higher end scopes come with removable eyepieces. Close Focus: This the nearest distance that a spotting scope can effectively view. Waterproofing and Fogproofing: This is a feature that protects a spotting scope from rust and other adverse atmospheric conditions, as well as water. Even if you don’t plan to be using your scope in adverse weather, it’s a good feature that may add years to the scope’s lifespan. Tripods: A tripod is needed to keep a spotting scope steady during viewing. Most spotting scopes come with a tripod, and many additional tripods are available for purchase. Camera Adapters﻿﻿: Specific adaptors are required for using your spotting scope with a camera to produce high-quality razor sharp images. 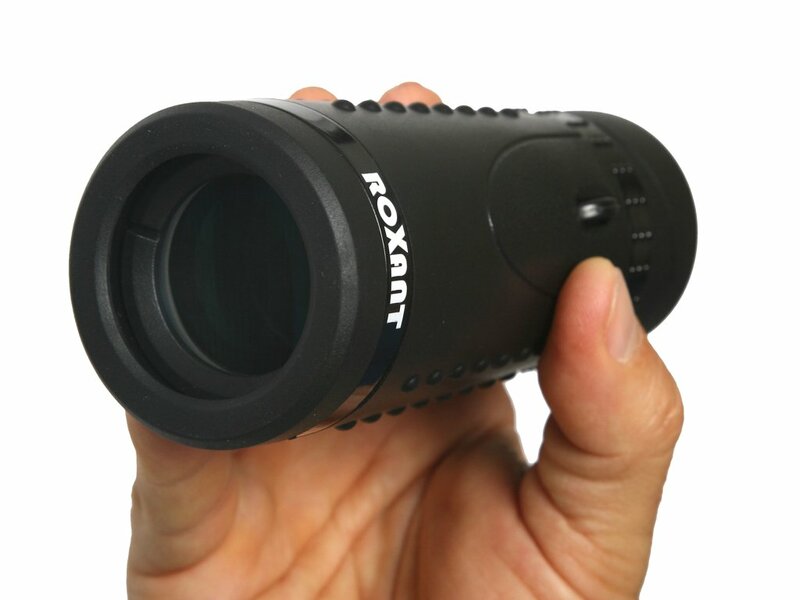 In a nutshell, spotting scopes are very powerful telescopic devices with high-grade magnifiers. They are more compact compared to astronomical telescopes, but more powerful than ordinary binoculars. Since they are designed for outdoor use, they are reinforced with waterproof and rust free materials to withstand the adverse atmospheric conditions and the rigors of hunting. Flexibility: Most spotting scopes on the market today come with built-in tripod mountings that enable you to view animal on hands-free. 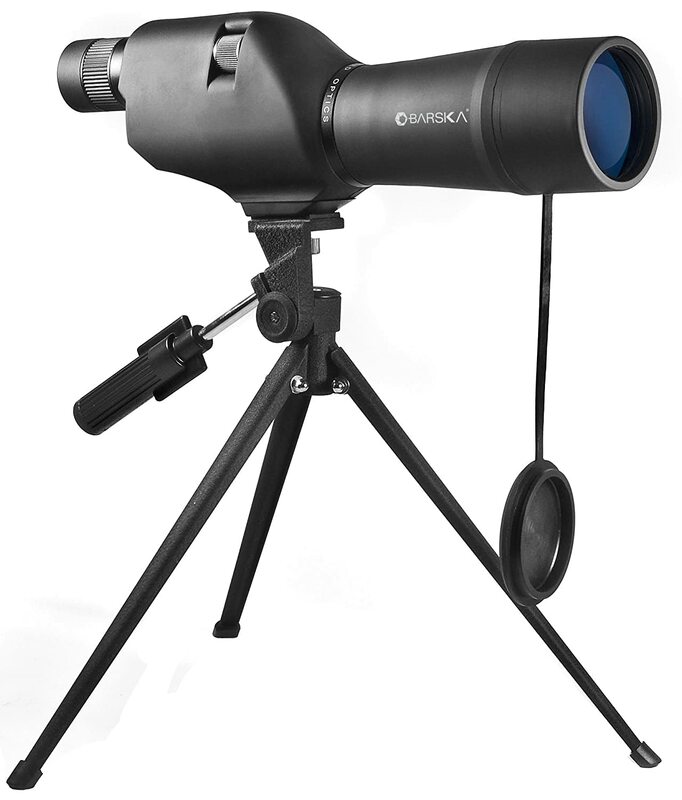 Price: You can purchase a good quality spotting scope at an affordable price. Yes, there are several inexpensive spotting scopes out there that you may purchase for your hunting or shooting needs. We don't agree with the notion that cheap is always expensive;however, with cheap scopes, most of them come with a poor optical quality that can get worse as you zoom for objects at a distance. If you are planning to purchase a brand new Spotting Scope, and haven’t previously owned one, we advise our readers to go for the least expensive model that suits your needs. If you find yourself using the scope constantly, and wishing for a more feature-packed option, there’s always room to upgrade in the future. Below are some honest Spotting Scope reviews that can assist you to make an informed decision when making a purchase. 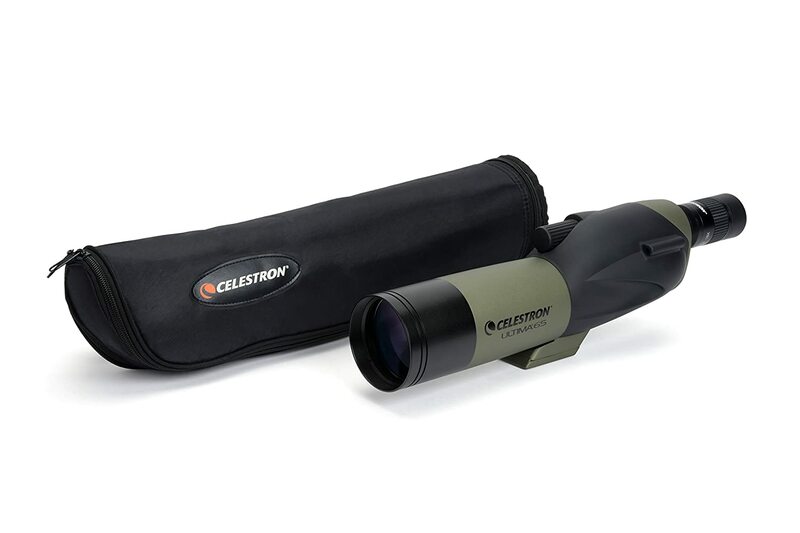 CelestronUltima is a perfect spotting scope for viewing nature or outdoor sporting activities. The scope was designed for users who want to take views on a broad range of situations. Compared to other spotting scopes, CelestronUltima is a great all-around telescopic instrument with a great value. 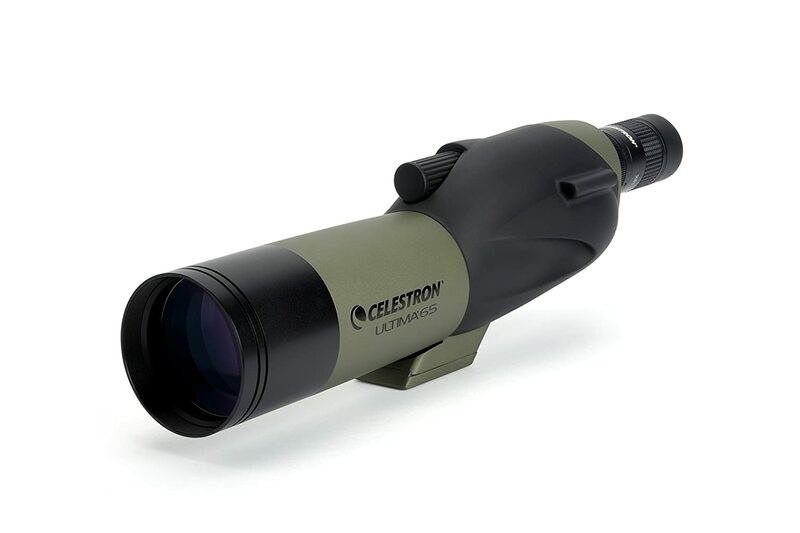 At the time of writing this review, CelestronUltima had a rating of 4.4 on Amazon; where a majority of customers said that it is an inexpensive spotting scope that is loaded up with good features. I have used this scope for watching birds in my neighborhood and I have not experienced any embarrassment with it. The scope features an eyepiece and a 65 mm multi-coated lens and a Sight tube for quick targeting. At a closer zoom, the view is wide, clear and sharp. The closer you zoom, the pictures deteriorates regarding color and clarity. For the durability, this is a great spotting scope. It is designed from lightweight waterproof materials. Its construction is rugged enough enabling hunters to handle their viewing adventures through the bush. The zoom and focus are user-friendly, very simple and easy to do in the field. 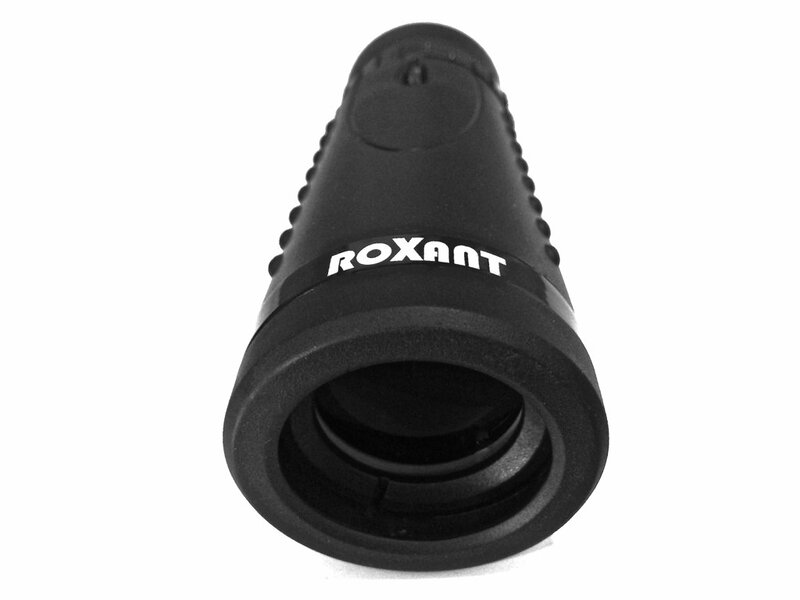 Authentic ROXANT Grip Scope is a highly rated spotting scope that is ideal for travel, bird watching, concerts, outdoor activities, climbing, archery, hunting, hiking, boating, camping, target shooting, and water sports. This scope really gets magnification into your hands in a compact, lightweight, rugged design—not to mention an excellent price. It features a retractable eyepiece, fully multi-coated optical glass lens and all glass optics. These features guarantee superior light transmission and brightness for optimal viewing and imaging. The scope is also designed with a no-slip molded grip, which makes it easier to hold the scope in one hand without shaking. In fact, there are users who have reported holding the scope in one hand, and a camera—or mobile phone—in another hand to take pictures, which is pretty impressive, for such a cost-effective piece of gear. It is sold together with a cleaning cloth, case, and neck strap—which makes a neat little bundle that is well worth the price if you’re looking to get a closer look at your targets without the extra effort required to lug a bulkier spotting scope into the field. BARSKA has a lot of pokers in the fire, in terms of products they offer. There really seems to be a massive range of spotting scopes on the market from this manufacturer, but for today let’s focus on the Colorado series spotting scope. The Colorado series is stuffed full of features, and doesn’t have a hefty price tag, making it a good value. It has a smooth focusing knob that makes adjustments a breeze. You will also like the scope's fully coated optics that allows maximum light transmission for clear viewing and maximum brightness. Another feature that you may like is the porro prism that produces excellent image contrast and clarity, there’s nothing like being able to confidently identify the number tines on a whitetail before pulling the trigger. The device features rubber armor, and flip lens covers that are perfectly designed to withstand subpar weather conditions. It also features a waterproof body that is designed for durability, and plenty of use in a variety of weather conditions. It comes with a pan-head tripod and soft carrying case for easier transportation. Redfield is a highly respected company that is best known for reliable, accurate, and rugged optical products. The company's Redfield Rampage is a good spotting scope for anyone who has saved a little cash in their rainy day fund, but isn’t looking to break the bank on a spotting scope. The scope is best for target shooting and hunting. Compared to other scopes of the same features and use, the Redfield Rampage is quality scope at a decent price. If you are searching for more magnification on your hunts, this piece fits the bill. It features a high-quality magnification lens that allows for the perfect balance of field-of-view and magnification regardless of the location and weather condition. Other features that I liked include a polycarbonate body that makes the scope have a reduced weight. The scope also features a premium BAK4 prism and fully multicoated lenses for a superior image. The manufacturer also includes a neoprene neck strap, view-thru soft case and lens covers. Although it doesn’t come with a tripod, it is equipped with a standard tripod mount—making it a versatile option that can be easily paired with a window mount, or tripod of your choice. 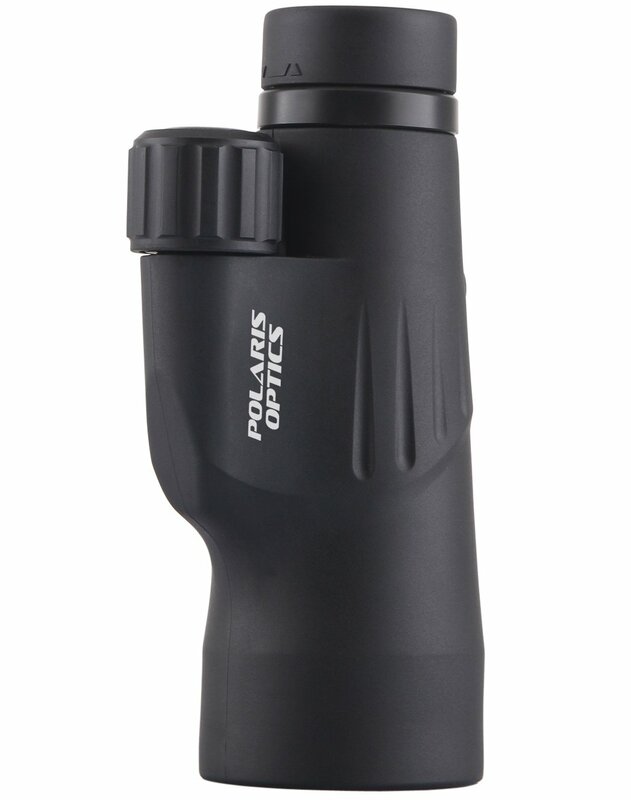 Polaris Explorer High Powered Monocular is a perfect spotting scope for bird watching or hunting in areas that don’t require extreme magnification. This model is one of the least expensive on the market today with a single piece retailing at $70 on Amazon. This piece is fitted with good quality magnification lens that produces brightclear images at a broad range of view. It is fully designed with durable external armor, and tripod that provides a non-slip grip, secure and durable external protection. The tripod stand is designed to offer steady hands-free viewing. Its external compartments are fog proof and waterproof to prevent debris, dust and moisture from getting inside the monocular, which will protect it for many years to come. Before purchasing a spotting scope, you must first understand how you are going to use it and understand the features that are important to you. Then, you must not only select an affordable spotting scope but also one that gives you the quality and features you want. 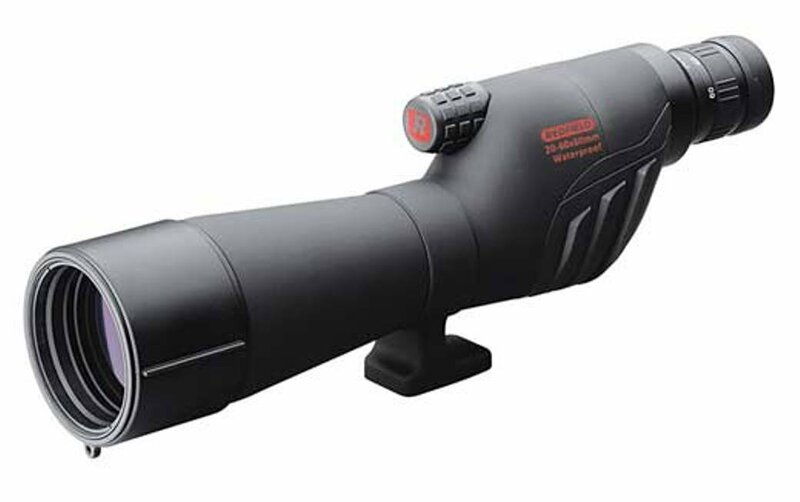 Having reviewed all of the above spotting scopes, we found Polaris Explorer High Powered Monocular is a perfect spotting scope for such a wide array of uses that we are recommending it as our top choice Spotting Scope. This scope outperforms the rest by far, which is the reason it is still one of the best-selling scopes on Amazon. In fact, the Polaris Explorer is a #1 Best Seller in monoculars on Amazon, and maintains a 4.7 out of 5 stars from customers. Besides the plentiful, and awesome features, you can use it in a ton of environmental conditions; transport it without any difficultness, and expect a clear image, with accurate brightness, color and contrast every time. The Polaris Explorer is the most powerful hand-held spotting scope available on the market today. 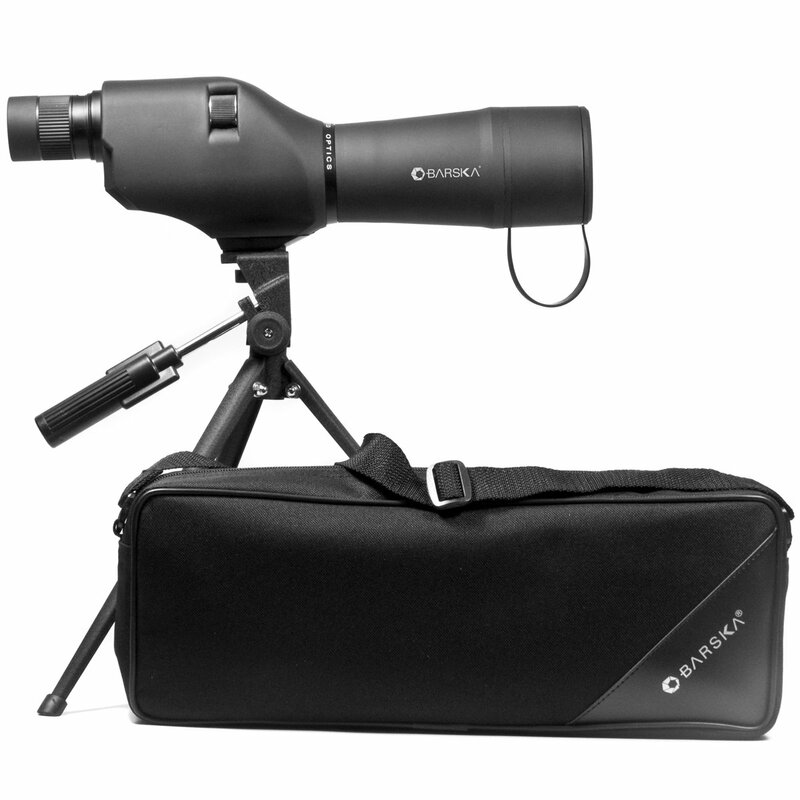 It is designed from waterproof materials that prevent dust, moisture, and debris from entering inside the scope. These design features are evidence of a product that has been engineered not only to perform, but to stand the test of time. This is exactly the kind of product that covers a lot of bases, and covers them well. 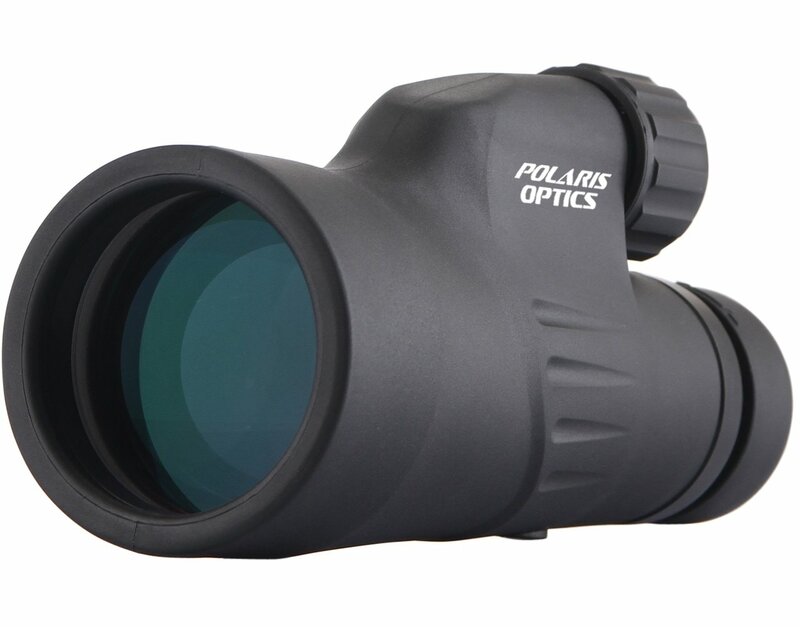 For these reasons, we at Outdoorhill have chosen the Polaris Explorer to be our top pick in the budget spotting scope category.